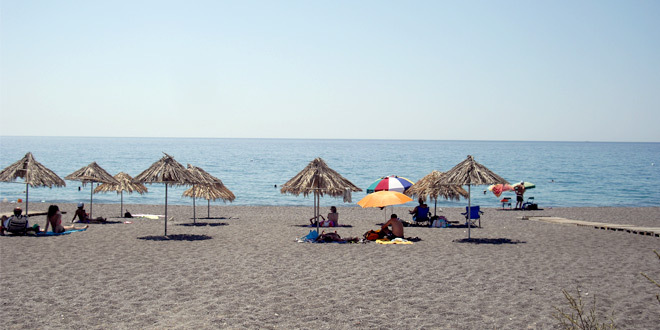 Camping Koutsounari is situated on an ideal location just 6.5 km from the city of Ierapetra, in a coastal, green and clean environment, to offer you the most wonderful holidays you have ever had. Defined tent or car spaces are provided on site, together with every comfort necessary for a pleasant stay. 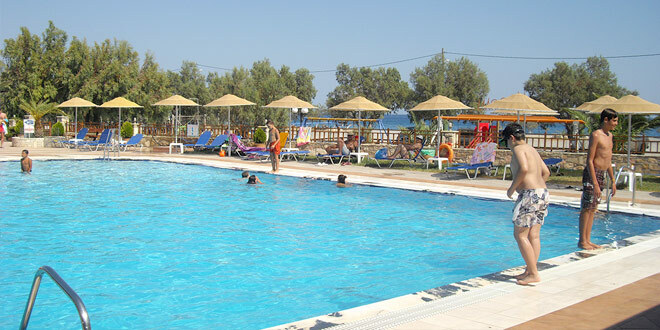 The camping premises lead to a large, crystal clear, sandy beach and blue sea, available for swimming, games and all water sports. The beautiful restaurant Pool-Bar Koralli is located on the camping premises, offering unique Greek and Cretan traditional cuisine. Our guests may also relax by the large swimming pool, enjoying their coffee or drink throughout the day. Book online without a credit card, by filling the reservation form and reserve your accommodation with a discount up to 10%, depending on the season.